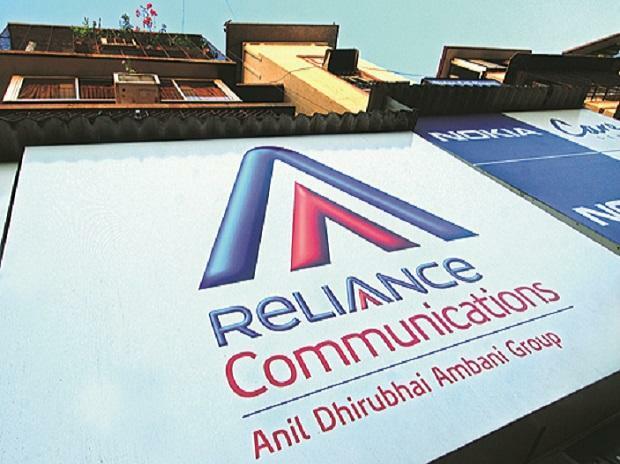 Reliance Communications’ (RCom’s) creditors are worried because promoter Anil Ambani’s personal net worth has declined by 26 per cent since January this year to $1.2 billion, thanks to a steady fall in the share prices of group companies. According to statistics collated by Bloomberg, Ambani has lost close to $408 million of personal wealth year-to-date until Tuesday. “It looks that the chances of our money coming back are slim,” said a Mumbai-based lender. RCom owes Indian banks close to Rs 45,000 crore and has not paid its dues since June 2017. It has now moved the National Company Law Tribunal for debt resolution. Apart from holding 53 per cent in Reliance Com­munications, Ambani owns about 33 per cent in Reliance Power and 52 per cent in Reliance Capital. The group’s entertainment division produces content and has a stake in Steven Spielberg’s DreamWorks Studios. Ambani’s bad run at the stock exchange started after RCom filed for bankruptcy early this month. The stocks of all firms of the Anil Ambani group started falling and the group blamed Edelweiss Finance and L&T Finance for “illegally” selling its pledged shares in the stock markets. The ADA group’s promoter entities had raised funds from around 11 lenders by pledging stakes in the operating companies. Soon after the Supreme Court judgment on Wednesday in the Ericsson contempt case, shares of Anil Ambani Group companies tumbled on Wednesday by up to 10 per cent on the BSE in intra-day trade. After a knee-jerk reaction, most stocks recovered partially and ended 1-4 per cent lower. Analysts remain cautious now on the stocks and suggest investors steer clear of them till there is clarity on corporate developments and business plans. The development, they feel, could see ADA group stocks remain under pressure in the short to medium term. “This surely is a setback for the promoter, who will now have to pay up. The group stocks can remain under pressure in the short to medium term. Over the past year, the markets have severely punished Reliance Nippon Life Insurance, Reliance Infrastructure and Reliance Capital. Among the ADA group stocks, these three should stage a recovery. The reaction on Wednesday after the court verdict makes valuations of these three even more attractive,” says G Chokkalingam, managing director and founder, Equinomics Research. While most stocks recovered from their respective intra-day lows on Wednesday, Reliance Nippon Life Asset Management closed 2.5 per cent higher on the BSE. In comparison, the S&P BSE Sensex ended 1.1 per cent higher at 35,756 levels. “Though the judgment seems strict or tough, it is a reflection on the way it was fought by Ericsson, on the one hand, and the impatience of the judges with the dela­ying/ diversionary tactics adopted by the respondents in quite a few of recent cases,” says Deepak Jasani, head of research, HDFC Securities.